About Us | The Vantage Group, Inc.
We have helped over 150 businesses for over 25 years with leadership team development, strategic planning, teamwork training, and talent recruitment through practical, easy-to-administer tools. We believe in “teaching people to fish” and provide them with the tools to do so. Using best practices in utilizing technology, behavior and values assessments, team building and leadership development tools, we help our clients work as a team and empower them with a standard of self-sufficiency that leaves them virtually free of ongoing consulting support. Our clients benefit by saving time, reducing costs, and becoming more competitive in today’s business climate. Darrell has more than twenty years of experience consulting entrepreneurial startups, global corporations and family-owned businesses. He is a certified personal Formula for Success coach, a certified Myers-Briggs® Type Indicator Practitioner, and a Personality Behavior, Motivators and Acumen Index analyst applying the DISC assessment tool. He and his team currently have worked with over 150 businesses helping them make better hiring decisions, retain employees, coach leaders, and strengthen executive teams. 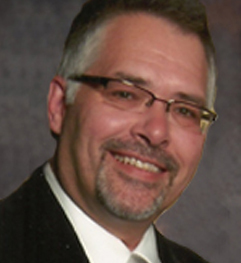 Prior to founding Vantage, Darrell was a certified coach and board facilitator for The Alternative Board and founded the first TAB Boards in Michigan. He gained advertising and marketing experience with various firms as an account executive and advertising agency president, working on national automotive, retail and packaging accounts. Darrell helped develop the groundwork for two West Michigan advertising agencies and was responsible for directing the acquisition and management of several key accounts. His expertise in developing sales teams for the agencies translated into millions of dollars in sales throughout the more than 15 years he led these organizations. He has also served as a guest lecturer at Michigan State University and as a conference speaker on subjects relating to marketing and sales, hiring, and developing next generation leaders in family-owned businesses. He currently conducts workshops for marketing, sales, Dynamic Communication and Strategic Planning throughout the United States. Richard specializes in results planning, marketing effectiveness and team-building services to the executive suite of companies, both domestic and international. Richard assists owners and executive managers to accomplish short-term results consistent with company values and long-term priorities. He enjoys “putting the teeth” into the strategic plan – helping to bring about clarity, accountability and substantive progress. Another major focus for Richard is in the area of executive search and placement of top-level employees. Also, he has been very successful as an executive coach. Richard brings over 38 years of business experience ranging from top executive responsibilities with two large public companies; a partner in an international CPA and consulting firm; to a consultant for small and medium-sized closely-held companies. His consulting focus has been strategic planning, executive teambuilding, leadership development, executive search, executive coaching and market/sales enhancement. Also, as a Certified Mergers & Acquisitions Advisor (CM&AA), Richard has substantial experience both as a principal and as a consulting intermediary in mergers and acquisitions. His industry experience includes manufacturing, distribution, financial services, health care and technology. Richard earned a BBA with honors from the University of Texas at Austin, majoring in finance and accounting. He has received CPA certification in Michigan, California and Texas. In 1983, Richard was awarded a Presidential Commendation for distinguished service during the Reagan Administration. Richard lives with his wife in Ada, MI where they enjoy spending time with their five children and seven grandchildren. Don specializes in M&A Advisory Services, Transition Planning for owner operated businesses, and working with business owners to strategically improve the value of their businesses. He is highly experienced in transactions of less than $20M, and has extensive experience managing expectations and negotiating with business owners in highly emotional situations. Don is also experienced in Strategic Planning, Business Plan Development, Financial Projections, and assisting clients with building strong relationships and credibility with investors and financial institutions. Don brings over 30 years of successful management experience in operations team leadership, administration and finance and is a strong team player with a track record of successful performance in general management, strategic planning, operations, non-profit leadership transition management, and effective decision making. 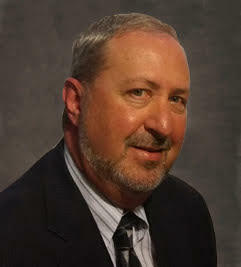 His experience has encompassed the following industries: Stamping Die Manufacturing, Tool and Die Manufacturing, Machining Services, Design and Engineering Services, Civil Engineering Services, Retained Executive Search, Technical Engineering Staffing, Packaging, Medical Device Industry, Theater and Auditorium Seating, and Material Handling Systems. A graduate of Grand Valley State University, Don has also earned his MBA from the University of Michigan in Operations Research. He has completed professional certifications as a Mergers & Acquisitions Advisor (CM&AA), Value Building Advisor (VBA), and Exit Planner (CEPA). Don has years of experience in various operational leadership roles in manufacturing and the not-for-profit space. Since 2007, Don’s consulting experiences have been focused primarily as an M&A advisor as well as providing start-up and turn-around advice to manufacturing businesses. In addition, he has coordinated the formation of wholly-owned foreign subsidiaries in eight countries as well as coordinated the international accounting and legal requirements for a company chartered in Hong Kong and headquartered in Houston. In his free time, Don enjoys spending time with his family, golfing, and watching college football. Randy is a senior sales consultant and sales management practice leader in the Multi-Channel Customer Engagement area with more than 25 years of experience in Sales, Sales Management and Sales Training. He is experienced working with clients in numerous industries, including health care, technical services, and food supply. He is recognized for developing multiple sales teams through coaching, management, and national sales training programs. Along with his significant experience in developing sales teams, he has broad knowledge and experience developing sales tracking programs, online software tools and helping organizations implement CRM programs. He has presented at industry conferences, workshops and seminars, and has led the design, development and delivery of multi-dimensional cross-functional solutions to clients, bringing together Strategy, Sales Process Design, Sales Team Development, and improving Sales Team Hiring practices. Prior to joining Vantage, Randy worked with many of the State Sales Operations for Aflac and helped bring some of their largest sales teams from mediocre performance to being top performing teams for the company. He has also developed two online software programs to evaluate sales team performance and a CRM phone application. He has broad technical and statistical experience in developing sales dashboards to aid in better sales management. Genevieve is a self-starter from Manila, Phillippines. Being affiliated with Vantage equips her with knowledge and tools needed to trailblaze into the field of talent management and enhancing team performance in Asia and the Phillippines – important issues for any type of company, any nature of business and any size of organization. Vantage also enhanced her knowledge on Competency-Based Management and Myers Briggs Personality Assessment tools as important components in strategic management and maximizing team performance. After completing her MBA from the premier Jesuit university in the Phillippines, Ateneo Graduate School of Business, she was invited to be a faculty of the MBA program teaching Entrepreneurship and Marketing. She remains an active participant as a former Director of the Philippine Marketing Association and Asia Marketing Federation where she earned her Certification in Professional Marketing (CPM). After being engaged as a business owner for over 15 years, she began her marketing consultancy and training career with Hermawan Kartajaya, the Asian Marketing Guru. She later on became a representative for the Institute of Direct Marketing from London, UK for their online Certificate in Digital Marketing in the Philippines and Asia. She is dedicated to the quest for learning and sharing knowledge among her peers, students and colleagues and recognizes that the borderless business world allows anyone to venture into many globally appealing products and services with the aid of technology and the internet. Being technology savvy and passionate for business give her the qualities to be an effective trainer, facilitator and business coach. While working with The Vantage Group over the past five years, my company has grown an additional $2.5MM, we’ve established a national client base, and our net margin as a percent of revenue doubled. Their advice, sympathetic ear, external perspective, and occasional kick-in-the-pants has been a critical part of our success. Our Mission is to help organizations move as a unified team toward common, leader-directed outcomes that can result in “raving fan” customers; high staff morale; clarity of purpose; focused goal execution and meaningful results. Vantage has been instrumental in helping us with our succession planning. We now have a clear roadmap for development and leadership preparation for future generations of our family.